Angrivated: Do you use a love nickname? I guess I am safe. I call my husband "crotchety old goat" and his pet name for me is "evil harpy shrew". Now that's love lol. 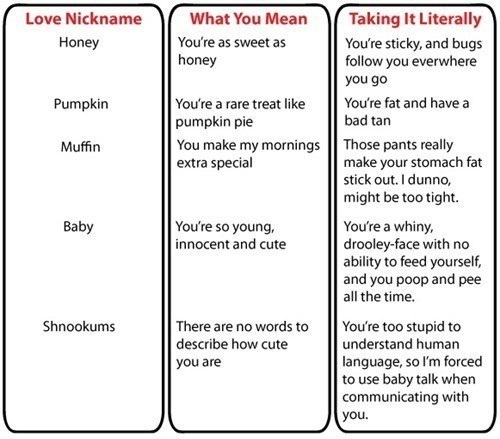 My boyfriend calls me Kitty and I call him Honey. Not sure about the bugs thing unless you count the harlots who hit on him all the time.